Are you struggling to address issues from your previous audits? Are you interested in knowing common areas of non-compliance and learning about good practices from others? 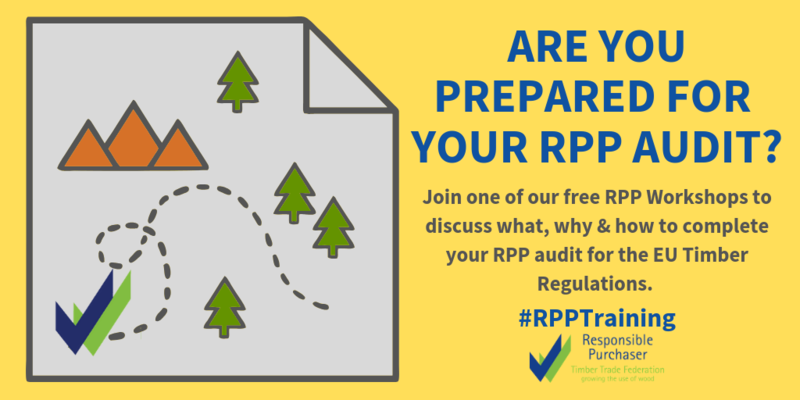 Join us at the next RPP Workshop for help on preparing and completing your RPP audit. More workshops will be confirmed soon! What, why & how do we complete the RPP (Responsible Purchasing Policy) audit? How is it audited? What do we need to prepare? What is the latest spot light in the world of timber regulation? What is the best practice with due diligence in challenging sourcing countries such as Congo, Russia and China? Do we need to do something about certification and other verification schemes? How? How can we deal with suppliers? What should we check for during an on-site factory visit? Any further questions? Let us know! Detailed agenda will be distributed soon. Note: These workshops are for TTF members only.